LRADAC is a private, non-profit agency that serves more than 4,500 clients per year through a wide array of substance abuse prevention, intervention and treatment programs. For more than 30 years, LRADAC’s treatment services were provided in a 50 year-old, 37,000 square-foot facility, while prevention and administrative staff were in rented office space in two other locations, creating communications and morale problems. The age and design of the building made it increasingly costly to maintain and difficult to comply with state regulations and national accreditation standards, and the appearance of the building created an image problem as it belied the quality of the nationally accredited services and the qualifications of the licensed, credentialed staff. 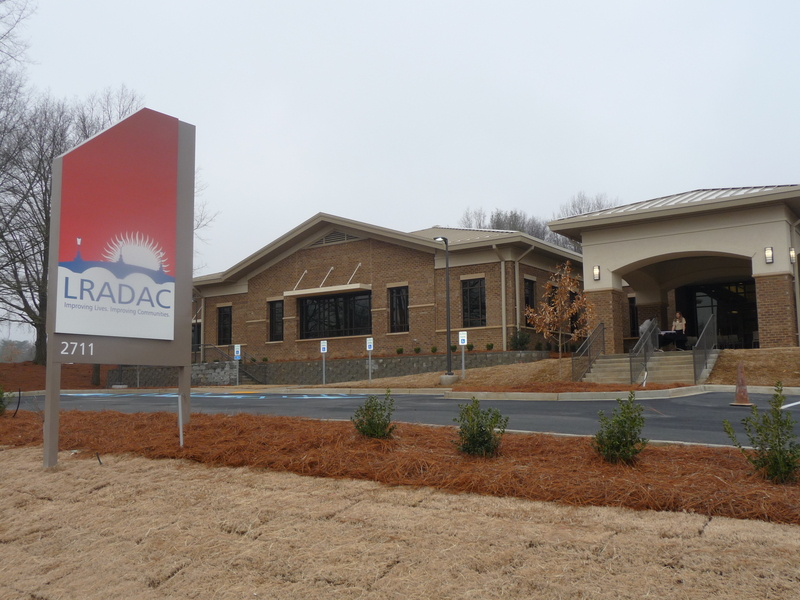 After ten years of working to become debt-free, the agency secured $12.2 million in funding from Richland County and the State of SC to build a 60,000 square-foot facility that combines the services and staff under one roof. In the fall of 2008, LRADAC’s CEO asked Davis PR to assist the agency in rebranding itself in preparation for the move. We began with brand research by conducting focus groups with LRADAC’s board, management team and front-line staff as well as phone interviews with former clients and community partners. The research confirmed that the new building created a great opportunity to improve the agency’s image, but also revealed the need to make the case for why the agency was constructing such a large facility during a recession and to explain how the building was designed to improve client care, safety and confidentiality. The agency often uses the phrase “dawn of a new day” to describe the process that people in recovery experience as they free themselves from addiction and see a bright future ahead. The research revealed that even the staff saw the new building as the “dawn of a new day” as it would bring everyone in the county under one roof; would provide better and safer facilities for clients; and better portray the agency’s image in the community. Our graphic designer took the agency’s longtime logo and refined it into a more radiant and vibrant color scheme to more clearly show a sun rising behind a bridge (representative of the actual bridge between the two counties). We then worked with the management team to develop a brochure that explained the agency’s services in keeping with the “new day” theme and coordinated with LRADAC’s website designer to redesign the website to be consistent with the other collateral materials. We also developed a press kit for the grand opening that incorporated details about the new building with clear explanations for how the design related to client service. Davis PR launched the new brand first to LRADAC’s employees during a staff retreat, training employees on the brand messages as contained in the newly developed brand standards manual. We assembled a “brand team” of employees representing all programs and levels of responsibility and met with them monthly before the grand opening. They identified all materials that needed to be replaced with the new logo and explored opportunities for sharing the new brand message with clients and community partners. We worked with our top-rated TV station to develop an exclusive preview tour of the new building and interviews with both the CEO and a long-time employee who received treatment for alcohol addiction at LRADAC in the 1970s. The story aired four times and generated dozens of calls to the agency’s helpline. The transition to the new building and new identity represented the culmination of a decade of dreaming to provide a better facility to help those in need.